We're talking with Cause Marketing Forum, YourCause, and Armchair Advocates to get their advice on how companies can engage with cause-labeled months to create their own giving campaign. Join us! YourCause - When it comes to creating corporate cause programs, YourCause thinks about a Chinese food menu—encouraging clients to pick and choose the right solutions for their needs. 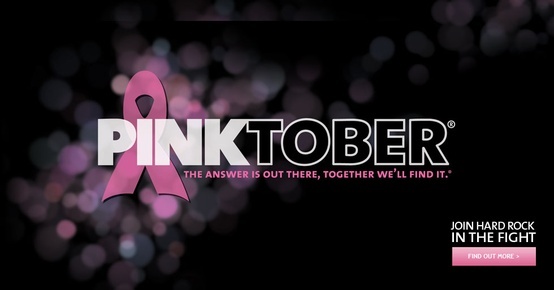 YourCause's clients are aligned with myriad causes, including breast cancer awareness. They’ll be tweeting via @YourCause. Cause Marketing Forum - Through events and online tools, the membership-based company connects businesses interested in cause marketing with relevant nonprofits. Their website provides a comprehensive overview of the cause marketing arena and features relevant reports, statistics, and insights. Cause Marketing Forum’s twitter handle is @TweetCMF. Armchair Advocates - With a tagline 'where social media meets social good,' you can't not like these folks. Armchair Advocates is a community of global citizens using digital platforms to "educate, fundraise, and advocate for the issues that matter most." You may know I'm already a fan of 'slacktivism,' but this group takes it to another level. Tweets via @ArmchrAdvocates. 4) If you want to ask our featured guests a question, tweet it to @Companies4Good. You can participate from anywhere in the world, and connect with cause-marketing folks of different stripes. See you on the Twitterverse. Want info on cause marketing before tomorrow's TweetChat? Sign up for our weekly tips on employee engagement and cause marketing!